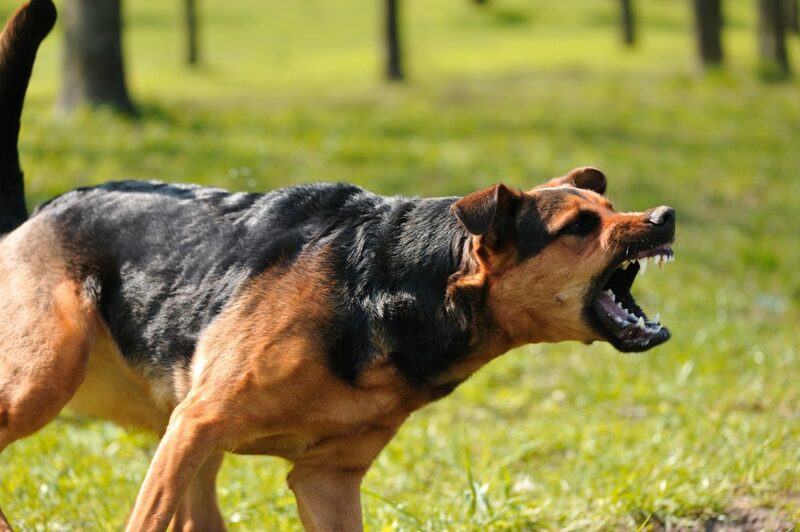 California has garnered the reputation of being known as the dog bite capital of the United States, according to the Los Angeles Times. This is because our state has the highest percentage of reported dog bite injuries (2,000 reported a dog bite injury claim) and close to $65 million paid out to injured individuals. Nationwide, the numbers are pretty awful. Approximately 4.7 million people suffer a dog bite injury every year. If that was not bad enough, roughly half of the bite victims are kids between the age of 5 and 9. That means, each year, millions of young kids are attacked and seriously injured by a dog bite. Furthermore, one out of every five dog attacks causes a bite injury so severe that professional medical treatment is needed. If you or a loved one was attacked and bitten by a dog and suffered a serious injury, take the time to speak to an experienced North Highlands dog bite attorney about your legal options. When a dog owner is sued by someone who was bitten, they routinely try to argue that they had no idea their dog was violent. As you’ll discover below, that argument does not hold water in California. But it is especially weak when the dog involved in the attack was of a breed known to have violent tendencies. For example, if you own a pitbull, you should be aware that they are one of the breeds involved in attacks most often. Nevertheless, any dog could potentially attack a person so the breed of dog is not determinative to the viability of your personal injury claim. According to California Civil Code section 3342(a), strict liability is applied to dog bite injury cases. This is a legal doctrine establishing that the owner of a dog that attacks and injures another person is automatically liable for those harms and losses. The injured party does not need to prove negligence on the part of the dog owner. This makes it much easier to obtain a financial recovery from the dog owner’s insurance company. Some people mistakenly believe that dog bites are not that serious; simply disinfect the wound and you are good to go. Medical bills stemming from the dog attack. Lost wages due to time missed from work. If you are forced to take time off from your job as a result of your dog bite injuries, the income lost can be recovered through a personal injury claim. Even if you use vacation time or sick days, you can still recover that lost time. If you are unable to return to your job permanently because of the attack, you can also seek future anticipated wages. Pain, Suffering, and Emotional Trauma: These are the intangible harms associated with the dog bite attack. It may include your mental anguish, stress, and inconvenience stemming from the attack. Pain and suffering also include the psychological distress associated with a vicious dog attack. Some victims even develop PTSD and are deathly afraid of dogs as a result. Some dog attack victims are hesitant to hire a personal injury attorney because they have heard stories about outrageous hourly legal costs and retainer fees. That is not the case when it comes to a dog bite personal injury lawyer. This is because most injury attorneys work on a contingency fee basis. This means that you, the client, are not charged an hourly fee and you do not have a pay a huge retainer fee to obtain the services of an experienced and skilled dog bite injury lawyer. Instead, your lawyer’s fee is contingent upon achieving a financial recovery for you. Once your lawyer secures a settlement or jury verdict, they receive a percentage of the overall legal recovery. You should not delay in speaking with and retaining, an experienced personal injury lawyer to file a legal claim against the responsible dog owner. The victim of a dog bite only has two years from the date of the dog bite injury to file a lawsuit under California’s statute of limitations. If you delay and the two-year window closes, your case will likely be barred from going forward. There is no risk of financial cost associated with speaking to an experienced North Highlands dog bite attorney like me. I offer free, no-hassle, confidential case reviews to all of my prospective clients. During the case review, we will discuss the facts surrounding the incident and I can assess whether it makes sense to move forward. I use my 30 years of legal experience in personal injury law to determine the viability of your case. The case review is a no-pressure environment so if you do not feel comfortable going forward, that is okay. If you would like to move forward and I think your case has merit, we can get the process started. I’m Ed Smith, a North Highlands dog bite lawyer. If you have been injured in a dog attack, or someone you love was injured or killed in one, please call me today at 916.921.6400 for free, friendly advice. See a wide variety of client ratings at Google, Avvo (the attorney review service) and on Yelp. I am so pleased to have been inducted into the California forum of Million Dollar Advocates. The forum is for top US trial lawyers with a number of case verdicts in excess of $1 Million Dollars. Please take a moment to view some of my Verdicts and Settlements. Me and my wife; had a car accident. We were amazed how easy, professional, friendly attorney Ed Smith is along with his staff. Everybody is amazing. Thank you so much, we are very impressed! Alex & Dinah M.
Ed and Robert have been taking great care of my husband and I for the past 5+ years. They are always there when you have a problem and a quick resolution! Even when the issues have nothing to do with them. They are willing to help ease the pain off your shoulders. They are as good as it gets! Thank you again for everything. Annie T.
Very professional. Great team, staff and service all around. Mr Smith was very honest, straight forward with his advice. He gives the word "attorney" an honest reputation. I will seek his council anytime, and would recommend him at the drop of a dime. Jeremy M.
I would highly recommend Ed Smith to any friends or family in need of a personal injury attorney. Ed, and his staff, are very caring on top of being very experienced in this field. The staff always keeps you informed of the status of your case and they are always easy to reach by phone. Shannon D.
Edward Smith law offices provide competent, thorough, and personable help for victims of personal injury. When you first meet the staff you know you contacted the right office. This law office treats clients like people. I recommend this office to anyone seeking representation regarding personal injury. David M.
We serve the following localities: Sacramento County including the City of Sacramento, Arden-Arcade, Carmichael, Citrus Heights, Elk Grove, Fair Oaks, Folsom, Galt, North Highlands, Orangevale, and Rancho Cordova; El Dorado County including Cameron Park, El Dorado Hills, and Shingle Springs; Placer County including Auburn, Granite Bay, Lincoln, Loomis, Rocklin, and Roseville; San Joaquin County including Lodi and Stockton; Solano County including Fairfield; Yolo County including West Sacramento; and Yuba County including Marysville.